We'll notify you when this product is available, please click/enter your email to be added to our lists. 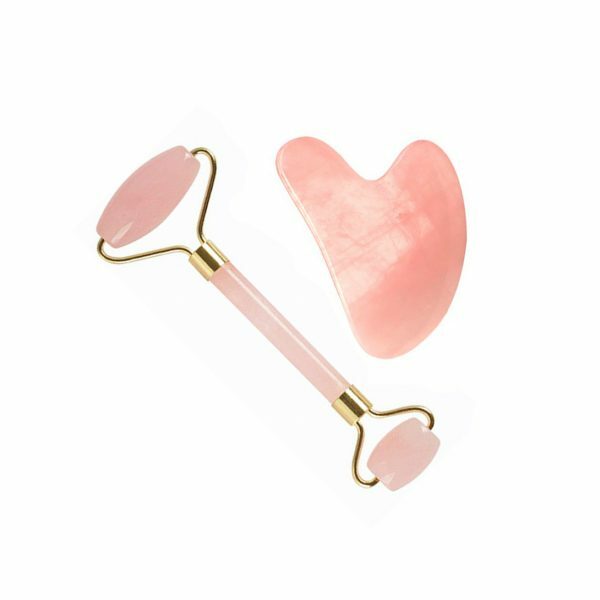 Made of 100% natural rose quartz, genuine premium massage stone. This versatile roller features dual-ended rollers with a smooth polished surface, suitable for face massage. Double super smooth rollers, very cool feel when touching with your face skin. They are made by natural crystal and high polished with smooth glossy appearance. The beautiful Gua Sha Stone is not only for crystal healing but also for massage, relaxing. Step 1: Cleanse face and make sure your roller is clean. Step 2: Apply your favourite serum or moisturiser. Step 3: Start rolling! Use the roller in an outward motion around your eyes and forehead. For your face, neck, and chest use in an upward motion. Step 4: Massage your face for a few minutes daily for best results. Step 5: (Optional) Apply more moisturiser for extra moisturiser skin. This will allow moisturiser/serum to penetrate deeper into the skin. Step 6: Clean Jade Roller so it is ready for your next use. 1.Select the corresponding edge of the Gua sha Scraper according to position that you want to take a message. 2.Scrape 20-80 times in one direction on your skin, but never scratch back and forth. Warning: Do not wash the jade roller in hot water or expose to harsh chemicals.